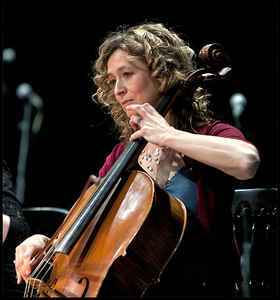 Rosie Danvers (formerly known as Rosie Wetters), born on September 8, 1969, is a British cellist, conductor, orchestrator and most notably world class arranger. She is also director at Wired Strings Ltd. This is probably the same person as Rosie Wetters? Rosie Wetters' credits stop at around 2005 and Rosie Danvers' credits start around the same period. The myspace page of Wired Strings (http://www.myspace.com/wiredstrings) also list Rosie Danvers/Wetters as their founder.